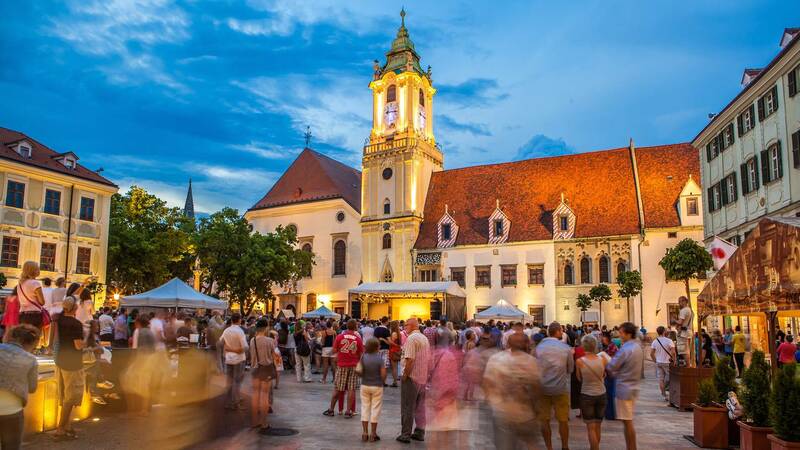 The first Unibet DeepStack Open in Bratislava is taking place next month with an unforgettable poker-packed weekend in one of Europe’s most vibrant cities. The Slovakian capital is a fantastic tourist destination with a beautiful 18th century old town which is known for its lively bars and cafes. Unibet DeepStack Open's first European event of 2017 is being held at Banco Casino Bratislava from February 23-26 with numerous events allowing players to take part in an international poker tournament without breaking the bank! The €550 buy-in Main Event has three start flights and gives players a whopping 50,000 starting stack. The schedule also includes a €90 SNG, €1,000 High Roller and €200 Omaha tourney. Bratislava is a wonderful capital with a vibrant atmosphere and tons of sightseeing and activities. The city’s central Eastern Europe locations means it’s only 40 minutes’ drive to Vienna and just two hours to Budapest. Even beautiful Prague can be reached by direct train in less than 3.5 hours. Whether you're a recreational player or poker pro, Unibet’s DeepStack Open events offer a wonderful and affordable poker trip. All the destinations have been carefully chosen to make sure they’re easy to get to and hosted in venues offering a highly professional poker environment. This year’s schedule includes three-day festivals in Cannes (March 2-5), Saint Amand les Eaux near Lille in France (April 6-9), Lloret de Mar on Spain’s stunning Costa Brava (June 22-25) and Malta (July 27-30).